Comparing housing typologies with Vancouver. The Eastern Dockland is a neighbourhood that occupies 305,000 sf in the eastern part of Amsterdam. Construction began in the 19th century to improve trade with the East Dutch Indies. 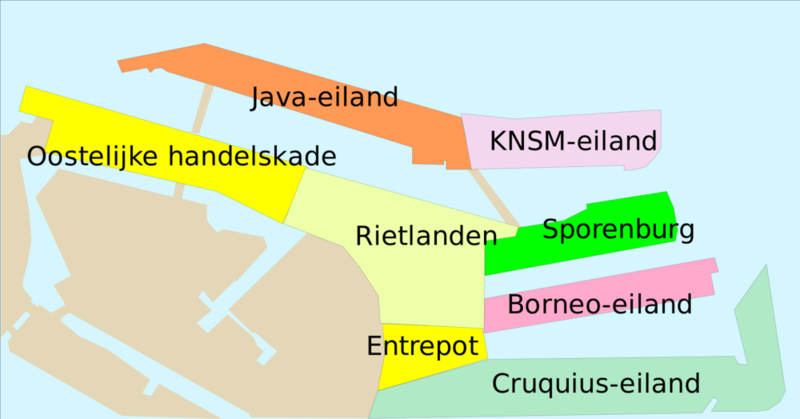 This neighbourhood includes : Oostelijke Handelskade (Harbor quays, built in 1882), KNSM Island and Java-Island (two breakwater islands built in 1890), Cruquiuseiland, Borneo-Island and Sporenburg-Island. 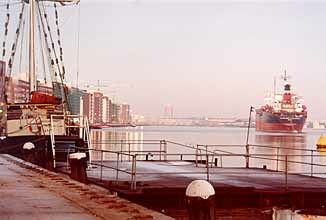 This zone was in use until 1989 when harbour activity was abandoned. In the 90’s, there was high housing demand in Amsterdam, especially in the increasingly densified town centre. To meet demand, city planning decided on building new residential zones on the city periphery (including Borneo-Sporenburg) to increase the supply of housing. West 8 group’s project mandated a transformation of Borneo-Sporenburg into dense housing plots integrated with the environment. The Borneo-Sporenburg Island project began in the mid 90’s, and was carried out by home owners and house designers working within the framework of West 8 . The transformation consisted of the construction of 2500 dwelling units that could accommodate 15000 inhabitants, a density of 100 individual housing units per hectare. Dwelling units were planned in conjunction with schools, retails, sports facilities, hospital, and restaurants. High-density housing blocks were also added in order to mix social origins. Moreover, bike transportation was emphasized over cars given that downtown Amsterdam is a 15-minute ride. 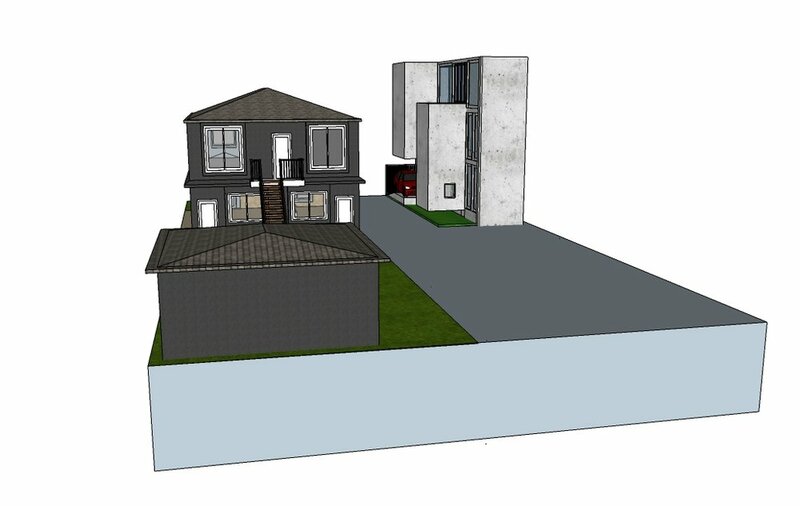 The average dwelling plot dimensions are : 5m*16m / 16,4’x 52,5’ (860sf), which as a comparison is approximately quarter of a traditional lot in Vancouver. On each lot, site coverage is limited as 30% of the surface is required to be void in order to enhance natural light exposition. Almost all houses are 3-storey high and arranged in rows to face the street. The FSR (Floor Space Ratio) is unusually high for an individual housing program, between 2.5 and 3.0. There are virtually no side yards between houses, backyard courtyards are common. In a typical Borneo-Sporenburg individual house, the stairs are often central. Sometimes the floors are offset on either side of the stairway. Due to the restrictions on width, open plans are commonly utilized for flexibility and free movement through the narrow spaces. The houses enjoy a great view of the docks. Therefore, it is no wonder to see huge glazed surfaces which allow inhabitants to live in natural daylight, while benefitting from outdoor spaces as well. The diversity of people involved into the project and the small dimensions of the dwelling lots turn this neighbourhood into a modern interpretation of the historic Amsterdam house organisation. This original project is the proof that you can successfully mix individual housing and high density, while keeping a strong relationship with the outside and creating a strong sense of community between neighbours. Vancouver is currently facing a housing crisis. The prices are extremely high and on the same time the city has to densify in order to cope with ecological and sustainable challenges. Instead of building big housing blocs, maybe the city should densify more intelligently so it can keep the typical individual housing that is Vancouver’s trademark. An average Vancouver plot dimensions are 122’ by 33’, twice longer and deeper than the Borneo-Sporenburg plots. It is possible to line up two Borneo-Sporenburg units in only one Vancouver lot, allowing to build more housing units that the Vancouver way of building. Since the Borneo-Sporenburg FSR is higher than Vancouver suburban zones, it is a clever way to densify the neighborhood while continuing the promotion of individual houses. On the house scale, since housing units are more compact and share walls together, there is less thermal bridges. The heating demand will decrease, and so the energy consumption. On the city scale, the density increase will lead to a reduction of the length and time of bus and car transportation, which means a significant drop in fossil energies consumption and greenhouse gas release.